Preheat the oven to 350° and line a 12 cup muffin tin with premium liners. Stir the vinegar into the coconut milk and let sit for 5 minutes. In a large mixing bowl sift the dry ingredients together. In a medium mixing bowl whisk the coconut milk mixture, oil, sugar and both vanilla together till smooth. Pour on top of the dry ingredients, whisk till combined. Bake for 20 minutes or a toothpick comes out clean – be careful they do not over bake, they will have a light color on top. Let cool for a few minutes, then transfer to a cooling rack. , on pages 152-154. I liked that it is nowhere as sweet as most frosting. It also doesn’t make a lot, it is designed to lightly frost the cupcakes, rather than piled on. And that is OK! In a mixing bowl, beat butter until smooth with a hand mixer. Slowly add in powdered sugar, beating in till smooth. Add in milk, vanilla, and salt, beating smooth. 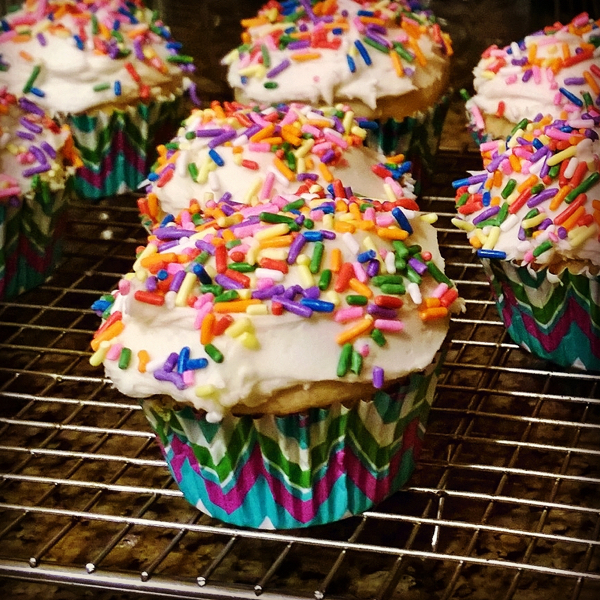 Frost cupcakes as desired, adding sprinkles on top if desired. Let set up, then loosely cover cupcakes. 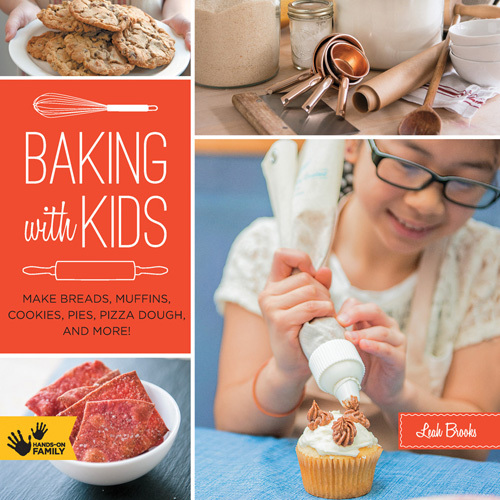 FTC Disclaimer: We received a review copy of Baking With Kids.